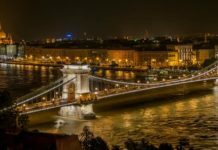 What to do and see in Budapest in February of 2019? 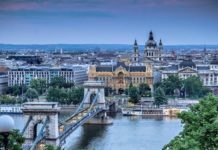 Discover the numerous events and activities we have selected for your visit to Budapest in february of 2019. 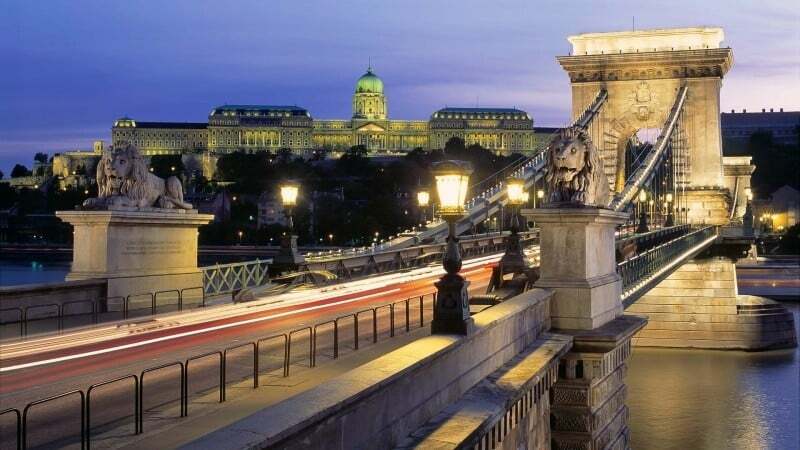 The Budapest calendar for February is regularly updated as soon as new events are announced that attract our full attention. 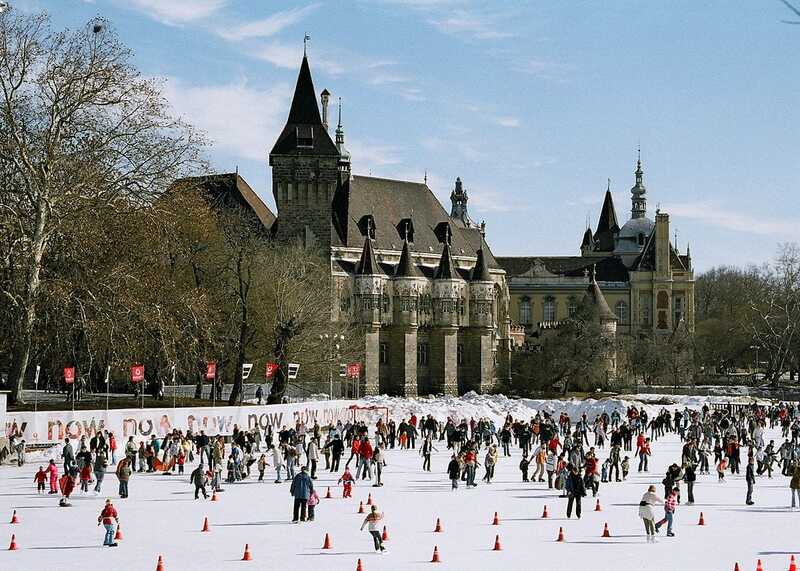 The ’Városliget’ ice rink in Budapest is the largest open-air skating rink in Europe located on the edge of the city’s woodland, the largest green space in the capital with a magnificent view of Vajdahunyad Castle! This unique ice rink in Budapest is open from mid-November to the end of February. Open hours: Monday to Friday from 9h to 13h and from 17h to 21h; Saturday and Sunday from 09h to 13h and 16h to 21h (20h on Sunday). Price: 1500 Ft (≈5 €) the entry on weekdays until Friday noon, then 2000 Ft on weekends (≈7 €). Skate rental: 1800 Ft (≈6 €) – Website – Map. Address: Olof Palme sétány. 5, XIVth district, Pest. 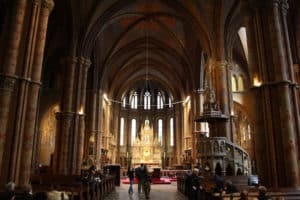 In the magnificent Matthias Church in the historic old town of Buda classical music concerts are held at 19:00 with the Budapest Duna String Orchestra performing compositions by Bach, Handel, Mozart and Vivaldi, among others (from € 33 in category B). Discover the Mangalica, a Hungarian specialty of the Iberian swine family! A ham of excellent quality with a strong taste and full of character. 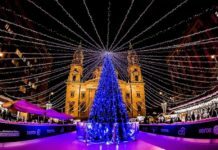 The Mangalica festival in downtown Pest hosts many producers of the product and other culinary and craft stands from Friday the 8th (12:00 to 21:00) to Sunday the 10th of February (10:00 to 18:00). Free entry! Address: Szabadság tér, 5th round, Pest (near the parliament) – map. 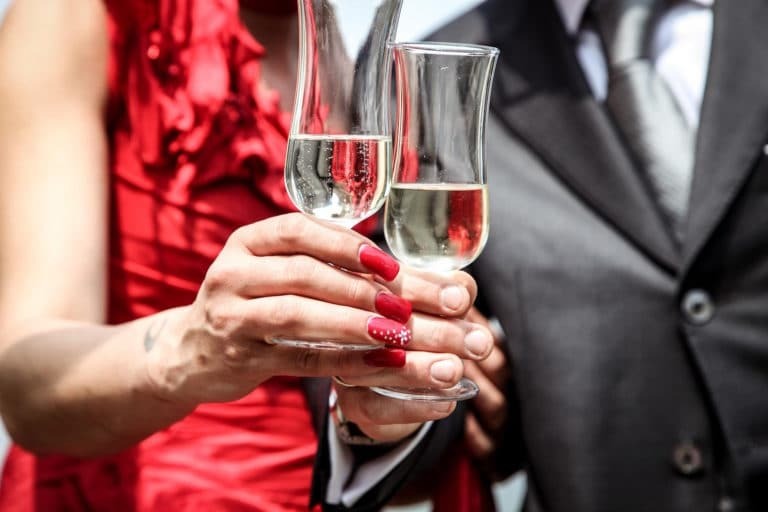 If you will be in Budapest in February for Valentine’s Day on February 14th, discover the the different cruises and dinners on the Danube organized for this occasion! 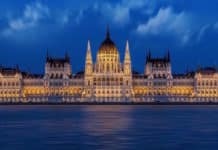 Discover the art of folk dance in Hungary during a 90-minute show (including an intermission) in the unique setting of the Danube Palace in Pest in the city center. A true testimony of the Hungarian heritage, this show reveals the tradition of the costumes, music and dance of Hungary and its former empire. Duration: about 90 minutes. 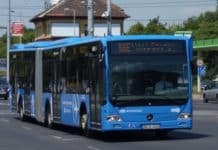 Tickets from 24 €. There is the possibility of a dinner cruise every evening (two hours and forty five). 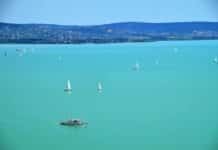 Information and booking is on this link to our article, ‘Cruises in Budapest’. The Széchenyi Baths host the Sparty parties on Saturday evenings, (February 9, 16 and 23, 2019) in their outdoor baths. 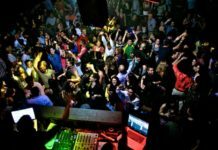 In this impressive setting you will experience animations, dancers, 3D projections and DJs live sets for a unique winter evening ! Information and tickets are on the site, Spartybooking.